This seemed a good idea at the time because she would be protected from the worst of the winter weather but is proving awkward now because there is work to do on the rubbing strakes and access is poor. I started by making a new inventory of gear . . . wrong, I started by making several inventories of gear. I now have a list of lists. They seem endless. I am still adding to them. But I have finally got on top of it and can sort the what-I-need’s from the what-I-want’s from the what-I must-have’s and the what-I-ought-to-have-just-in-case’s and the why-is-that-on-the boat’s. The latter is forming a pile in the shed and will be disposed of. Money has been saved. The foresheets need replacing, as does the clew outhaul on the mainsail. The sails and rigging inventory showed up perfectly good replacements. I had forgotten about them. By changing other lines round I can prolong their life for another year at least. 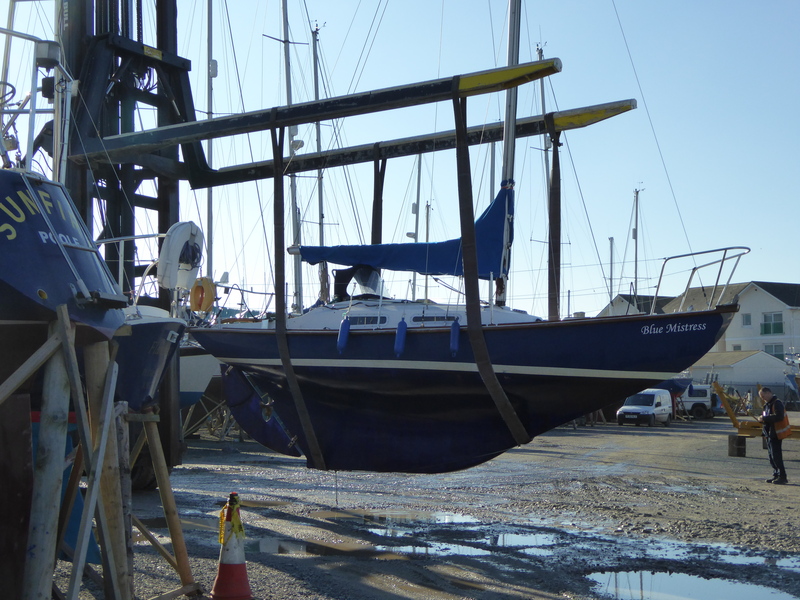 I removed most of the running rigging to wash the salt out, leaving the foresail halyard in case there was a problem rerigging the lines. The spinnaker halyard refuses to turn into the masthead so it looks like someone will have to go up and check it out. 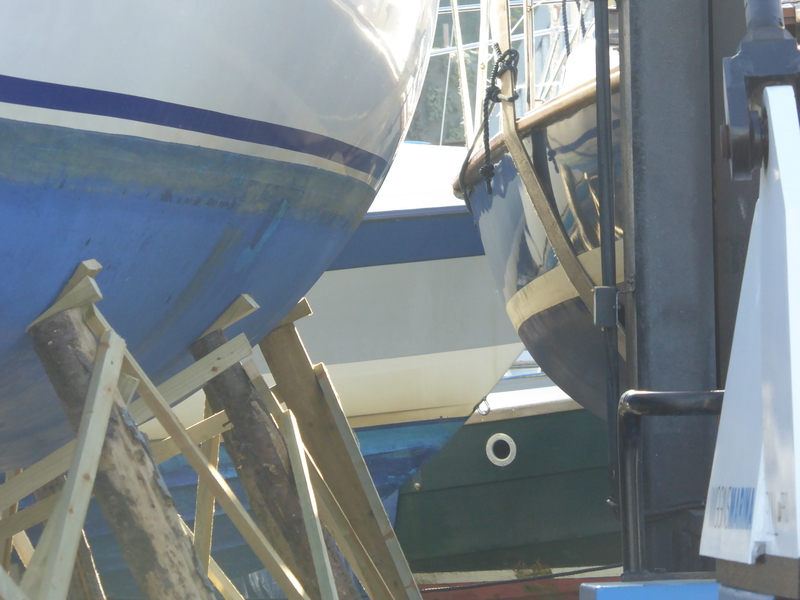 The masthead lights can be inspected at the same time. The list of r&r for this winter has grown . . . and grown. As always, there are some that have to be done or we won’t go back in the water, some that ought to be done sooner rather than later and some that we might as well do now while the boat is on the hard. The must-be-dones include the dramatic. In October, I found myself standing on the foredeck with the fore hatch in my hand. Don’t ask what I said. 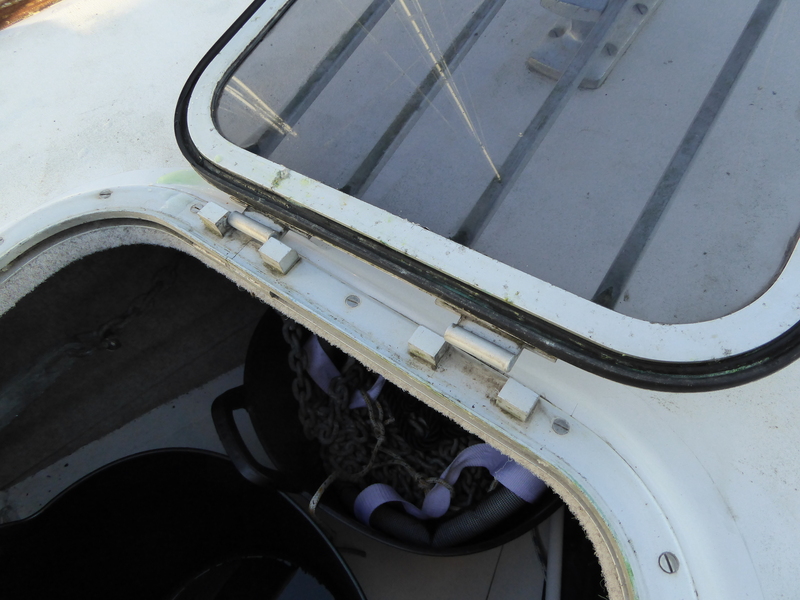 Gebo make a replacement hatch which can be opened from on deck. It will be fitted with the hinges aft rather than forward so that it doesn’t interfere with setting and stowing the anchor. Less potentially catastrophic but nevertheless a further leak-source, the ‘glass’ in the ventilator broke when a boathook scored a direct hit. I taped it up and it seeped rather than leaked water. 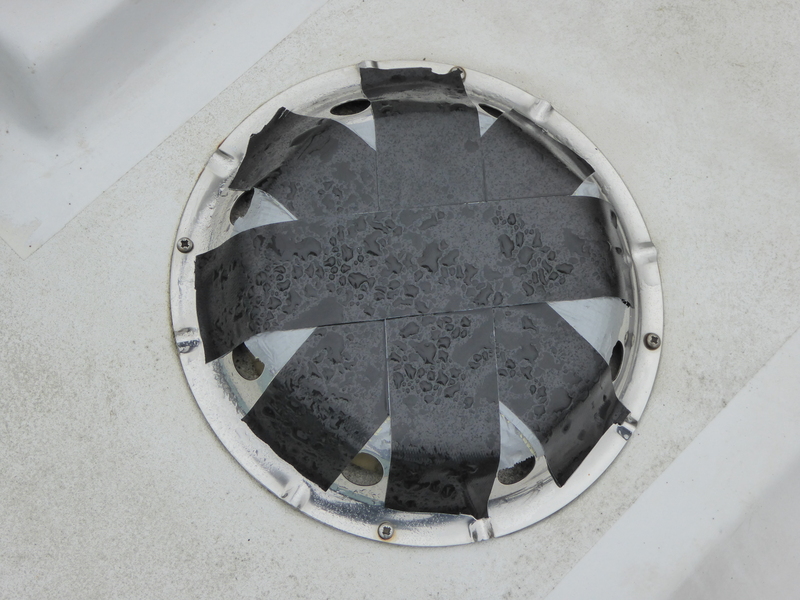 There had always been some leakage through this Ventilite. The manufacturers now supply a shut-off fitment that sits inside the original and can be closed or opened, so I am hoping for no more drips. 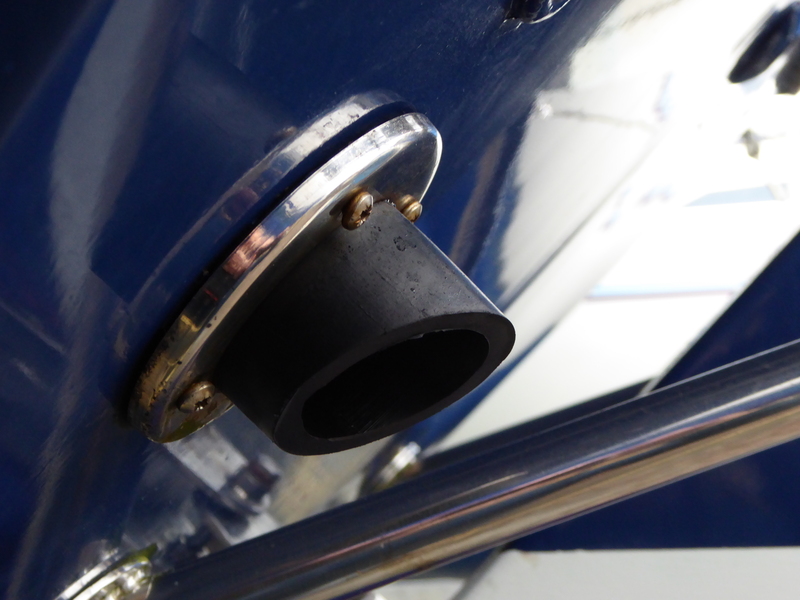 Also, water has been leaking round the exhaust outlet into the port lazarette for some time. I solved it with an excessive amount of silicone sealant in the summer but replacing the fitting with a more substantial seating inside the lazarette (see the screws in the image) will be more permanent. I knew all this before lifting her. Then I began to look around. ← Welcome to Beyond Steeple Point updated!